This non-profit was initialized by the motivating story of Pat Quinn, a man with ALS who co-founded the ALS Ice Bucket Challenge. Before losing his voice to the disease, Mr. Quinn was a well-heard activist who raised awareness and millions of dollars that went towards research to enable the fight against ALS. 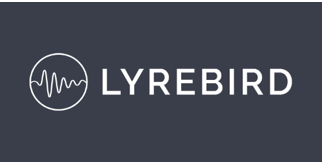 From this stemmed the partnership of the ALS Association and Lyrebird, a small tech firm that has developed technology that requires only two to three hours of voice recordings in order to recreate a person’s voice. Though Pat Quinn had already lost his voice at the time and they were not able to collect recordings, because Mr. Quinn had used his voice to advocate so profoundly through speeches and interviews, Lyrebird was able to collect sufficient audio samples. In a short amount of time, Pat Quinn had his voice back. He still uses eye gaze technology paired with a communication tablet, an Augmented/Alternative Communication (AAC) device, to type and read out what he wishes to say. Only now, the voice that reads out his words is identical to his own. These statistics demonstrate the significant presence of ALS within the United Sates. Further, this information shows how great of an impact an initiative like Project Revoice could have on the ALS community. Thousands of people could be offered the opportunity to record, store, and regain their voice through the use of AAC devices and this voice cloning technology. Though voice cloning is not a new phenomenon, it usually requires ten to twelve hours of recording, something that is often too taxing for a patient with ALS. The website states that “Until now, the two main sources of preserving voices have been either message banking or traditional voice banking. Message banks enable users to record everyday lines of speech, which are then played back at the touch of a button. Traditional voice banking requires users to record thousands of sentences, which can take weeks or months to complete. This speech is then cut and pasted together to re-create sentences.” Project Revoice offers the opportunity to create a voice bank that can be used to produce the unique voice of the patient with simply two to three hours of recordings. This technology completely recreates the voices of users allowing them to create new phrases and sentences without the specific words needing to be pre-recorded. As the initiative is currently in first phase of a three-phase process. The website and promotional video have been released, though the technology has not yet been released. The second will include the release of the “free and easy-to-use voice bank” in mid-2018. This technology will enable patients who have not yet lost their voices to begin their recordings. Then, at the end of 2018, Phase 3 will be the release of the technology that will allow users to clone their own voices, creating what the ALS association calls a “Revoice”. As the technology will be both free and easily accessible, Project Revoice is offering an empowering opportunity to the ALS community.